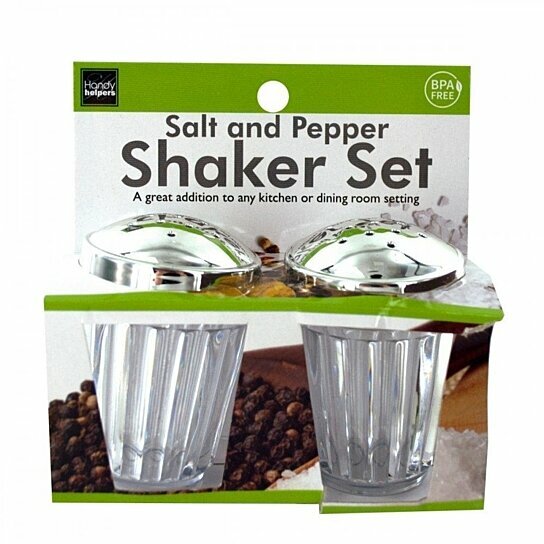 A great addition to indoor and outdoor dining settings, this Crystal Look Salt & Pepper Shaker Set features a worry-free crystal look plastic design with realistic silver screw-on plastic lids. Each shaker measures approximately 2.75" tall with a 2" diameter lid and 1.5" diameter base. BPA-free. Comes packaged with a wrap around.